Over the last 25 years, both Zest and Yuki Ito have been through several different incarnations. Interestingly, these incarnations perfectly mirror the changes we have seen in Japan’s startup scene in that time. Today Zest makes cloud-based, field-service software, which is used to dispatch expensive resources for complex jobs, but they started out years ago as a software outsourcer when that was almost the only option for a small technology startup. We talk about Zest’s products and plans, of course, but Yuki’s own story of becoming a programer when Japanese girls simply did not do that kind of thing, and how she grew her business even in a time when Japanese women simply did not make sales calls, is an amazing one. It’s a great conversation with an incredibly resilient entrepreneur, and I think you’ll enjoy it. Welcome to Disrupting Japan. 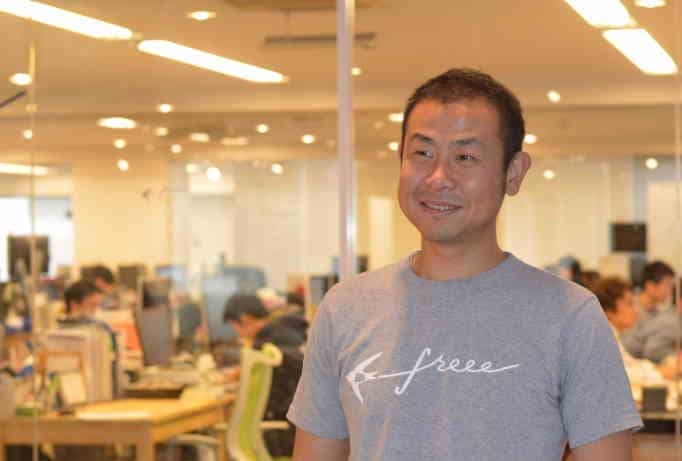 Straight talk from Japan’s most successful entrepreneurs. I’m Tim Romero and thanks for joining me. 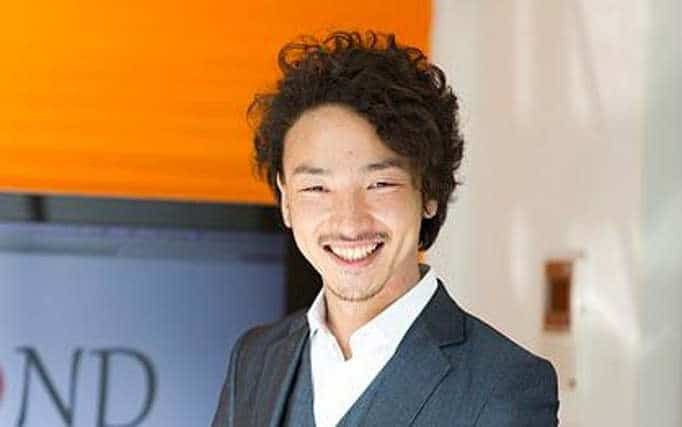 Yuki Ito has been running a technology start-up long before it was cool or even practical for that matter. The latest incarnation of her company, Zest, sells cloud based field service software, which is used to dispatch expensive resources for complex jobs. We talk about Zest itself, of course, but we also talk a lot about Yuki’s rather incredible journey to become a programmer and a start-up founder, when seemingly all of society was conspiring, with the best of intentions mind you, to prevent her from doing that. When she was starting out girls just didn’t do that kind of thing. Yuki’s an amazing, resilient woman with a great story to tell. But, I don’t want to give too much away. So, let’s get right to the interview. Tim: I’m sitting here with Yuki Ito of Zest, who makes field service software. Rather than have me explain about Zest and what field service software is, Yuki why don’t you tell us what it is. Yuki: Field service is actually people who go outside. It’s field servicemen. Yuki: And they all have different kind of skill sets. Somebody has to make the schedule for them. And, all the work has different conditions. Tim: So, for field service, are we talking about building inspectors, or people setting up cable TV installations? What sort of work? Yuki: It includes everything; a lot of things. It doesn’t include something like just a truck driver. But, when you say “building inspection”, one thing like elevator, escalator that is one thing too. Like Sunshine 60 elevator, that is very fast. That is different from a department store elevator. So, you have to send different kind of people for inspection. Tim: So, if I’m understanding it right, field service software, it’s different from scheduling in that you’re setting up very expensive personnel to complex jobs that might involve multiple people and coordinating it all. Tim: So, it’s not a simple scheduling solution. Tim: Ok. So, tell me a little bit about your customers. Yuki: Currently, it’s all building inspections. And, the famous place, it’s a little bit sad story that they have to use us. Is there was Tohoku disaster and they had to build a lot of buildings in a lot of places, so that people can live. And, somebody had to do the inspection. Tim: So, it was just the sheer amount of work they had to do, made them look for a new solution. Tim: Well, that’s so often, especially in Japan, industries, especially conservative industries, only adopt new technology when they really, really have to. Tim: When there’s no other choice. So in this case, what were they doing before for scheduling? Yuki: They were using Excel. Yuki: It’s impossible. If you have 20 people and you have 20 places for each person to go around in a day. It means that you have 400 buildings and you have to schedule them, who has the right skill set to go there. And then, you have to find out how long it takes from one place A to B, the transportation time and everything. And, you want to do it efficiently, right? You want to optimize their schedule so that you don’t have to go to east and then go to west and go back to east again. Tim: Right. Excel’s clearly the wrong tool. Tim: It’s one small step above the old, white board with the schedules written on it. Tim: You’re allowed to say anything you’d like. Yuki: Ok. Anything? Like Tokyo Gas? They are a huge company. They have tons of clever people. They were still using this white board to do the scheduling, because it was so difficult to schedule. Tim: Wow. In 2016? 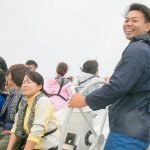 In the last couple of years, the Japanese government has announced, oh I don’t know, so many programs to help introduce start-ups to government agencies and large companies. Have any of those been useful to you? Or, has it been old fashioned sales work? Yuki: I haven’t got into that program, I think. I never met. Tim: It’s funny. There are a lot of announcements, but I’ve yet to meet a single start-up who’s really been able to participate or take advantage of them. It’s all been just straight old fashioned sales. Yuki: At the moment, yes. Tim: Well, it’s a hard way, but you have to do the hard things. Yuki: Yes. I was thinking that start-ups can go much, much, much faster and it was taking a long first year. Some part is due to Japanese market, yes. But, I think it wasn’t a bad thing, because we are listening a lot to our customers. We learn a lot from our customers, so they give us a lot of support. They want to be one of us. And try to make this product much better, so they give us a lot of feedback. Tim: Well, I think active and engaged customers are the best marketing you can possibly have. Well, actually now, you and I have known each other for a long time. Yuki: Yeah. Almost quarter of century. Tim: Yeah. Almost 25 years now. I really was impressed at you… well, how you got into programming and how you kind of set off on this path. I wonder if you’d tell us about that? Yuki: Ok. I was brought up in foreign countries, England, and Germany, and then United States. And, I came back to Japan when I was 10 years old. I didn’t understand Japanese and it was scary. Tim: You didn’t understand the language? Or, the culture? Yuki: Language, culture and everything. The worst thing is that, the first school I went was called a mammoth school. At that time there was so many children, we had like in each grade 14 classes or something. I was trying to ask “Where is my classroom?”, because I got lost. And, I’m trying to tell everybody that I’m lost, but I couldn’t say it. It was like a nightmare, because everybody looked like the same. I started to cry and somebody had to take me to the teacher, to go back to my classroom. But, it was like, for me Japanese looked all the same. Was all black hair, all the same kind of face. The only thing I could love was arithmetic. Every three years, I was in a different culture, in a different country. And, it wasn’t that bad, because England and Germany and America wasn’t that different compared to Japan. But, when I came back to Japan, the only thing I could understand was arithmetic. It was the same all around the world, right? Tim: It’s a universal language. Yuki: Yes. That’s how I started and then when I was in the Junior High and Senior High, I was always studying mathematics. I believed myself that I was going to that kind of University, but there was a teacher who really liked and she was teaching Japanese. And, she wanted to put me in her class. So, she changed my …. I said I wanted to go to the class, which was arithmetic and biology and those kinds of things. I was on this path and I believed that I was going on my whole at that side. But, what happened was, she changed my… I said I want to go this side, but she changed it. Tim: So, she took you out of Mathematics and put you into Liberal Arts. Tim: So, the college you went to was more Liberal Arts college? Or was it an engineering school? Yuki: Yes. I was learning Spanish. But, I was hungry with Mathematics kind of things. And, everyday I was typing Spanish, it was only a typewriter those days. And, if I make a mistake I have to turn it a little bit and use..
Yuki: Yes. And I didn’t like it and it was a stupid thing. One guy one day said to me “Do you know there’s a thing that’s called ‘computer’? And he said, “It was really, really expensive those days, no more companies won’t be able to buy.” And then, I always thought, “I want to try computer. I want to try computer.” What happened was, one day I was in a park and the guy who sat next to me he was saying “I’m working at a computer company.” said, “I want to work there so, let me in.” I was so eager and he took me to that office. Tim: So, did your college offer computer courses at all? Yuki: No. No arithmetic, no computers. Tim: So, you started a part-time work at this computer company? Yuki: Yes. First it was really tough. They said, “You’re the first woman here and we never had part-time. This is so advanced technology that no amateur can do it. You have to be trained, so you won’t be able to do anything. And part-time job can quit tomorrow, so we’re not teaching you anything. We’re not investing in you at all.” That’s how it started. Yuki: And I’m so lucky and very lucky, because nobody taught me. Tim: What do you mean? Why was that lucky? Yuki: Because, if you were in the course like men, all the other were men at that time, it takes six months to learn something and then on the seventh month they would start to do programming. But, what happened to me, was from the first day I really wanted to do something, and started to do the keypunching. So, I was looking at the coding sheet and started to keypunch. But, before that, I knew that I would be keypunching, so I went to a typewriter school before I joined that company, for two weeks. And, I got really fast without looking at the keyboard. So, when I started this keypunching, I was very fast than all the others. Because I didn’t have to see my fingers, I was reading the coding sheet all the time. And, in a few days I felt like “I think I can write this.” And, I started to ask the boss, “Let me do this. Let me do this. I really want to write the coding sheet.” And, I started to write the coding sheet. By looking at these flowcharts. So, from flowcharts I started to do like a coder. But, writing a coding, if you make a mistake, you erase it in once more and write it again. Tim: If was a different age, that’s for sure. Tim: (talking over 12:14.5) So, just doing the coding in your head? Tim: So, how long did it take before you were doing this? And programming? Yuki: It was only the first week. What happened was, on the second week I was coding directly on the computer and then the third week, I started to say “Hey, boss I can write the flowchart”, because while I’m doing this work, I didn’t have to think. I have to think next stage and I was thinking “How do they write this flowchart? Why do they get this kind of information?” I was asking, I can do the flowchart because this looks so simple, I can do it. And then, the next week, I’m not writing the flowchart, not writing the code, I just listen to the system engineer, what they want to create, went straight to the keyboard and started to write programming. And, in one month I was writing the largest program in that company, the most difficult ones and I was the best programmer already in that company. Tim: And meanwhile, your colleagues were in their second month of this six month training. Yuki: Yes. Right, they even haven’t started the second month. So, that’s how I really started to love computers. It was really for me. Tim: How long did you stay at that company? Yuki: For only two years and I decided I don’t want to go to college anymore. So, I quit the college and I really started to find out where I wanted to work. But, I quit because at that time, women were not allowed to work in office. Many people didn’t want me to go to meet the customers or help them. Tim: Yeah. Japan has really changed a lot that way. Tim: You left college. You left your part-time job. This new company you were working for, was it a computer company? Tim: Ok. So, when did you decide to go out on your own? Yuki: Woman were not allowed to meet customers and women were not allowed to do front end work. So, what happens is there’s always intermediate person and this system engineer or somebody cannot tell us the real requirement the customer wants. So, I was had to imagine what the real feeling of the customer is and that’s how I make my program. It was like, if I’m doing the actual work here, I was always imagining how this flowchart was made? What is this system engineer saying, it doesn’t sound right? If I make exactly what he says, it doesn’t work. Tim: So, you had to guess what the customer really meant. Yuki: Yes. I felt really sorry for the customer, because most of the people couldn’t deliver a proper thing to the customer. Doesn’t help them. I was so frustrated that I couldn’t give the right answers to them. Tim: At that, was it just that company that didn’t want to send women out to meet customers? Tim: So he just blocked you out of the meeting? Yuki: Yes. And he said, “I want woman only to be smiling and giving tea and taking coffee. And, I don’t think woman should be in this place and keep up with men.” In one month I changed everything. He didn’t want to leave me friend. I left. That’s how it happens. Tim: It doesn’t quite count as much once he only values you when he… yeah. Yuki: But, it was very, very common. It was not only him. Tim: So, after you left, you went to a different company? Or, you started your own? Yuki: I didn’t think of starting any company. I was only 25, I knew that I can do something for the world. At that time there was no word like ‘freelancer’. So, it was very uncommon that one individual was trying to get a computer work. And, if I try very hard for three years and still doesn’t work, I’m 28 and I knew that I will have enough skill that everybody would like to employ me. So, I decided to be alone. But, in one month I found many customers. Tim: So, most Japanese companies at that time would not send out women to meet customers. But, you found customers very quickly. Tim: You didn’t plan on starting a company? Tim: It was just customer and employee request? Tim: And that company was Zest? Yuki: Yes. It was already Zest at that time. Tim: …in Japan. It was ‘outsource’. You were developing software for other people. Tim: So, at first you were getting projects, you were responding to customers needs, it was a lot of outsourcing, custom development. And now, the current incarnation of Zest is focused on a single product. It’s a more modern start-up. What is the biggest difference between the old way of doing things and the new way of doing things? Because, I think a lot of companies in Japan are looking at the same transition right now. Yuki: 13 years ago, we were solving one problem, field service scheduling at that time too. But, we were thinking for only that one company. Two years ago, two different presidents came to this office and they said they might bankrupt if they don’t have that software that I invented 13 years ago. Tim: That’s a strong motivation to make a product. Yuki: Yes. And, it was shocking. Why could that happen? And then, I looked into the industry and found out that there was no solution that has the same thing that we were doing. These kind of schedules were made only by experts that they don’t have. Number two, that single person has the whole responsibility to run that company with the right schedule. He cannot get sick. He cannot have family events. Tim: So, the whole company’s workflow is dependent upon this one person. Yuki: And, what happened was, unfortunately both company… both of them got mentally sick. One had to quit the company. One had to couldn’t come to the company. Suddenly they cannot schedule anything in the company, even if they try to do something, it wasn’t that good enough. They send wrong people, get scolded by the customers. Tim: This is something that I’ve seen and it’s one of the biggest weaknesses in the way traditional Japanese companies run. In this case, you’ve got these two companies, where clearly everyone inside the company knew, well everyone associated with that workflow knew, that it was all dependent upon this one person. It was a huge risk. Yuki: They should know, but they don’t know. I’ve seen a lot of companies like that. Unfortunately, people don’t realize the risk yet. Tim: Ok, maybe the information doesn’t bubble up, the manager kind of hides it. But, the solution always seems to be to make that one person work harder and longer hours. Tim: Until they finally break down from the stress and then they realize they have a problem. Yuki: Yes. One day we were calling, telemarketing and saying that this is what we have and this company said, “No, we don’t need that. We’re fine.” And two weeks later they said, “You must come right now. Please help us.” And it was the reason was that person who was making the schedule got pregnant and had to quit. Tim: The willingness of Japanese employees to work so hard and to work so much overtime is actually a weakness when you view it from the whole company perspective. Because, it allows these brittle systems to develop, where if one person can get sick or if the job just becomes overwhelming and she finally quits, then the whole company is now in trouble. Yuki: Yes. And that’s what I wanted to help. We researched like 700 companies and they all were using white board and excel, google doc, everything was manually scheduled. Yuki: At that time Tokyo gas also asked that they were also using the white board and looking at a solution like this. Even in such a big company who has a lot of money, didn’t have a solution. In Japan, IT companies tend not to give proposals to the customers. Customers will define what they want. And, IT companies just obey kind of and try to make exactly what they want. But, not try to propose something new, because it would be their own responsibility. Tim: Did you get a lot of requests for customization and changing? Or did people sort of accept the product right away? Tim: You’ve been running Zest in its different incarnations for more than 25 years now, right? Yuki: Yes. 28th year right now. Tim: It’s the 28th year. So, looking back on it, what are the biggest changes you’ve seen from start-ups and small companies, and working with big companies? 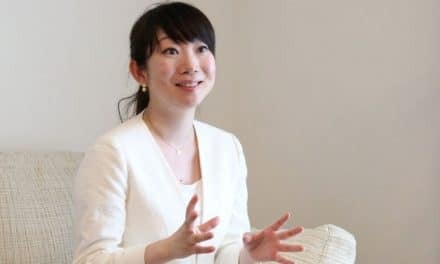 Yuki: When I started, even for men we didn’t have entrepreneurs. The usual was, they were like the top people in the company and spin out, and break the company, and make a new one. Tim: The senior person would retire and then do consulting. Yuki: Yes. It’s not a retirement. It could be like, 40 or 50 years old, but it was very rare for a young person to start a company at that time. Nowadays it’s like everybody’s starting. The funny thing, when I started, they said “You’re too young to start a company.” And, two years ago, when I said I’m going to start the next round, everybody said “You’re too old to start a new company.” Ok.
Tim: That a really big attitude shift, where 25 years ago it was all 40s and 50s and now everyone thinks you’ve got to be in your 20s to start a company. How about being a woman entrepreneur? That must have changed must have changed radically in the last 25 years. Yuki: Probably it is, but I don’t feel it, because I was like me for the whole time. And, I was treated like a man even if was very… a childhood? Tim: So, you were saying before, the sale staff, your male colleagues wouldn’t even let you contact the customer because women just didn’t do that sort of thing. Tim: And now, there are lots of women start up founders in Japan. A lot of female university students say that they want to start a company when they graduate. Yuki: That’s great. We need a lot of younger entrepreneurs and see women entrepreneurs also. And, it’s a good thing. Tim: Looking back on the last 28 years of Zest, if you could go back and talk to the younger Yuki and give her some advice, what would you tell her? Yuki: There’s so many things. I think it was a good thing that she struggled all the way. She had to fail many times. Failure became friend and that is a really, really good thing. Because, if you’re not used to failure, it could crash you easily. But, if you get really used to it, you know what to learn from that and how to come out from that. Tim: You’d tell her just to embrace failure and learn from it? Tim: What kind of things do you think the government should be doing to promote small businesses and to promote entrepreneurs? Yuki: I don’t like government to do something. Tim: You just want them to kind of stay out of the way? Yuki: Yes. Because, if you spoil a baby… I don’t think it’s a good thing. I think it should be not the government. I want more successful people who has done this start-up to help more younger ones. But, I don’t think the government should be involved. Tim; So more of the ‘angel investors’. People that have successfully built companies investing in the next generation. Tim: It’s only just starting to happen now in Japan and I think it’s one of the most important developments going on. Yuki: Yes. I would like to become one if I get successful one day. Tim: Excellent. Well listen, before we wrap up, is there anything that you want to talk about? Yuki: There was one question you were talking about, why Japanese didn’t make this kind of system we are providing right now, in the past. It’s because each company, the most expert were thinking very hard and every time they were struggling to make the right answer. So, nobody thought that their most expert is struggling, which means that it’s not easy to make it as a system. Tim: So, everyone thought the knowledge was so specialized and so unique that no one could possibly understand it outside of the company. Yuki: Right. And the other thing is that, this expert even couldn’t explain what he was doing. He didn’t know how to solve that problem at all. So, nobody tried to explain to any IT company that this is what is struggling. Tim: Do you think that attitude is starting to change in Japan? Or do people still kind of jealously guard that knowledge? Yuki: That’s what we believe and that’s why we decided to make it as a product. Because, if that two presidents didn’t come office, I would have never noticed that. Many people were struggling for that. If you look outside the world, there are field service management products, but it’s really expensive so only big companies can use it. But, our product is so cheap, small and midsized businesses can use our product. And those are the people who are really struggling. We really want to help them. Tim: Ok. Great. Well, listen, thanks so much for sitting down with me. 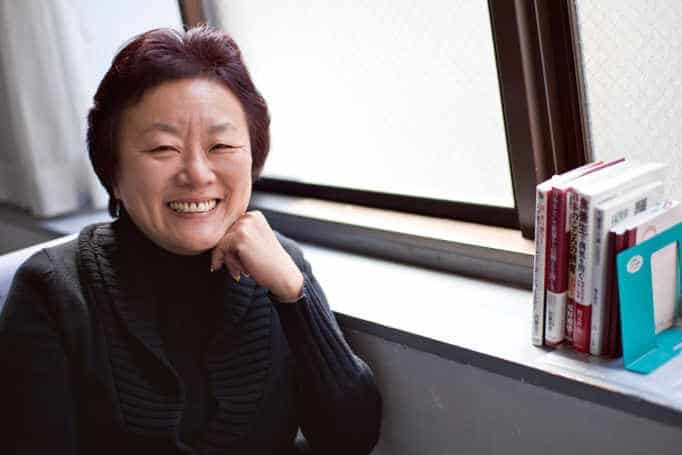 What I found most impressive about Yuki was her determination to build software for people who would appreciate it. The series of teachers, advisors, and bosses all tried to derail her ambitions. Japanese society at the time told her that her dreams were not appropriate for a young woman. But, she kept her focus and is now running a growing company, doing exactly what she wants to be doing. In some ways that’s already a happier ending than most IPO stories. 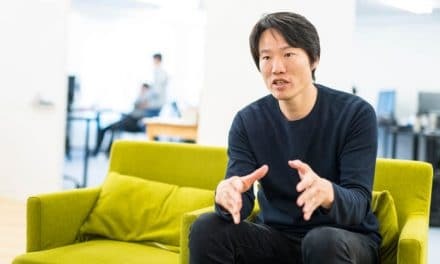 It’s interesting how Zest’s transformation from a relationship based, outsourcing company to a true product company really mirrors the transformation that has happened in Japanese start-ups over the last 20 years. 20 years ago almost all small technology companies were simple outsourcing companies with little valuable IP of their own. Today most new firms have a product to sell. And, as we discussed in our last episode, this is an incredibly important and positive development for Japan as a whole. 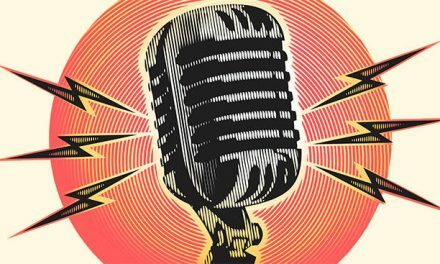 If you haven’t listened to Episode 41 yet, go back and enjoy it. I guarantee you, it will give you a slightly different perspective about what’s going on in start-ups in Japan right now. If you’ve got a story about how you succeeded when everyone told you you should quit. Yuki and I would love to hear about it, so come by DisruptingJapan.com/show042 and let us know what you think. 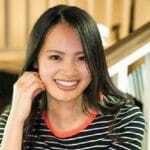 And when you drop by, you’ll find all the links and sites that Yuki and I talked about and much, much more in the resources section of the post. And, if you get a chance, please give us an honest review on iTunes. It’s really the best way you can support the show and help us get the word out. But, most of all thanks for listening. And, thank you for letting people interested in Japanese start-ups know about the show. One of the best interviews to date. Ito-san’s story is very inspiring. I agree. People get so wrapped up in talking about IPOs and unicorns they tend to overlook the truly impressive and inspiring people who are all around us.